LISTEN has come to an end. 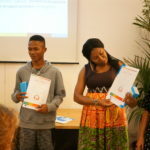 In our last newsletter we report about our final event in Palermo, present the winners of the LISTEN award and inform how to receive the LISTEN label, to show that your organisation engages in promoting refugees’ learning with innovative methods. Check it out here. Prudence from Nigeria has won in the category “fictional stories” with her story “The Arrogant Princess” – a story about a princess who learnd the hard way that life is not a picnic. 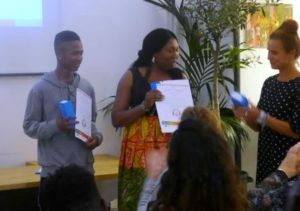 Mamadou from Guinea has won in the category “true stories” with his story “A talented boy”. 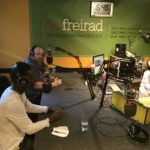 His story is about a young boy who travelled alone from Africa to Europe to live his dream to become an artist and musician. You can listen to both stories in our story collection. The other stories will also be published in our story collection. The LISTEN team is organising the final conference in Palermo on 23rd of October. Tell us your story … . 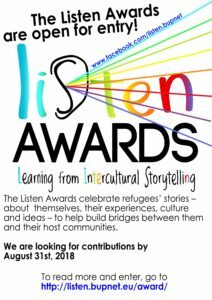 The LISTEN Awards is still open for your contribution! We have postponed the deadline to September 16th, 2018. To read all the details on how to submit, what type of story we are looking for, in which language and in which format … please click here. The LISTEN team invites you to enter the LISTEN award with a story – fictional or real. The story can be a memory, a self-created story, a fairytale, legend or myth. 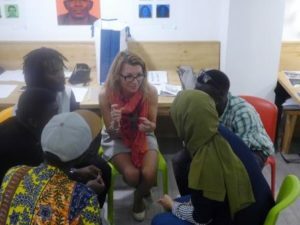 The stories should reflect the idea of LISTEN aimed to promote intercultural storytelling with refugees and migrants as we believe that a story can build bridges and create mutual understanding between different cultures. With your permission your story will become part of our LISTEN collection of (life) stories.